As reported by Cleveland.com, these busts of the presidential candidates are made of dryer lint. They were auctioned off to benefit the Center for Arts-Inspired Learning. CFR Founder Leonard Jacobs asked me to work on something new this month. Though I highly enjoy my political column and find it a pleasant respite from everyday life, I have been a theater and music professional in almost every aspect of those industries for more than two decades, so it’s a welcome treat to write about their juxtaposition — which is, of course, what the CFR is all about. Who would be a stronger advocate for the arts as President, Hillary Clinton or Donald Trump? To those of us on the left-ier wing of things, the choice may seem obvious. But some of the facts I have found might surprise you. Won an award in 1999 from Americans for the Arts for her work as First Lady in supporting the National Endowment for the Arts (NEA) and National Endowment for the Humanities (NEH). Voted for the No Child Left Behind Act, which made it difficult to integrate arts education. Voted for tax deductions for artists’ gifts as a member of the US Senate Cultural Caucus. Arts education in lower-income populations, calling it an investment in the future of the country. A plan to cap itemized charitable deductions, which would significantly hurt nonprofit arts groups that rely on private donations to survive (like the nonprofit theater in Wisconsin that I run). Training in the arts in public school as an answer to and better barometer of childhood education, versus standardized testing. According to The Smoking Gun, Trump donated about $465,000 to arts organizations between 1994 and 2010. This seems significant, but humble compared to others of his weight class, like former NYC Mayor Michael Bloomberg who, if you include his philanthropic foundation, donated at least $70M to the arts. Consider these figures, too, in relation to the claimed size of Trump’s wealth, provided it is of greater a girth as the candidate claims. Unfortunately, this information as well as his other charitable giving (he claims “millions,” but an exhaustive examination by the Washington Post could only find about $10,000 and five “phantom” gifts) cannot be verified unless he releases his tax records, which I highly doubt will happen. 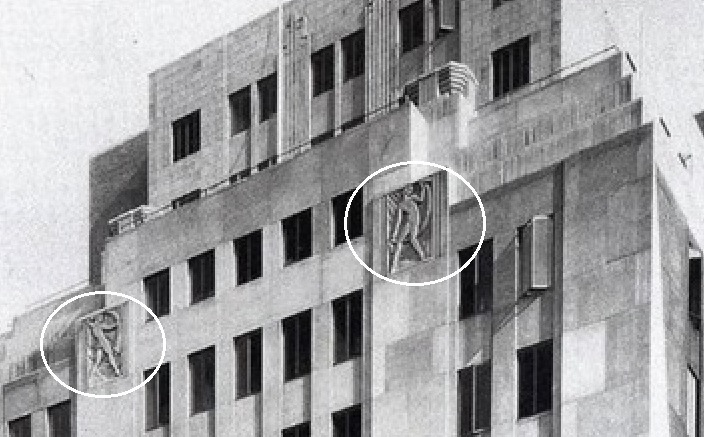 When building Trump Tower, he destroyed a pair of Art Deco reliefs on the facade of the Bonwit Teller Building, despite the Met Museum’s vocal interest in acquiring them. 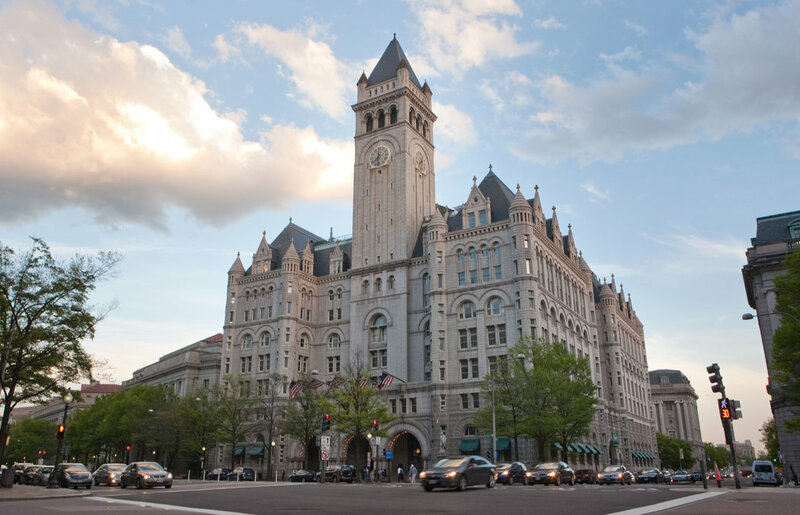 In 2013, he bought the Old Post Office Building in Washington, DC (six blocks from the White House) to convert it into a luxury hotel, and in doing so ousted not only the NEA and the NEH but President’s Committee on the Arts and Humanities. That’s how I like my irony served! When asked about his positions on STEM vs. STEAM initiatives, the NEA’s budget and the role of government in guiding arts education, Trump repeatedly deflects, spinning the conversation back to the fact that Congress controls the budgets of these programs. Which, of course, is true, but an inquisitive and curious President can also guide Congress’ focus, too. The Congress, as representatives of the people, make the determination as to what the spending priorities ought to be. I had the great fortune to receive a comprehensive liberal arts education from an Ivy League institution. What is most important is that we examine how one-size-fits-all approaches imposed by the federal government have corrupted the availability and efficacy of liberal arts education. Critical thinking skills, the ability to read, write and do basic math are still the keys to economic success. A holistic education that includes literature and the arts is just as critical to creating good citizens. Trump has claimed that the FCC’s exploration into policies on net neutrality will hurt the open market’s role in determining what Americans want. He has repeatedly emphasized that the role of the federal government in education should be as limited as possible, and that local communities should shape the educational programs of their schools. Smart people can disagree on this, but it’s hard to convince our sports-obsessed small town school boards of the importance of the arts without a mandate. So, what’s the analysis? On paper as well as in word and deed, Clinton definitely seems to have the edge over Trump. I’m not necessarily talking about a sincere appreciation of the arts, which both may have in spades or both may completely lack, who’s to tell? But in their views of the role of government when encouraging arts and arts education, the situation seems clear. At the same time, putting aside the Republican Party’s strange obsession with evicting the threatening denizens of Sesame Street (which was eventually successful, more or less), the NEA is an atom in a drop of water in the whole Federal budget — just $146M this year, or, by my calculator, around 0.012% of discretionary spending. No politician of any stripe will get too far over the long-term by dissing art and artists (try as they may), but there are definitely subtle allusions in much of their language (phrases like “bricks and mortar projects” and “ordinary Americans”) when discussing prioritizing such funds. Of course, an interesting and educated argument can be made for the relevance of the NEA and how it’s managed, but that’s for a different column. I suppose one could consider Trump to be an artist himself — if one is being extremely generous. Sort of the way American cheese is called “food” or calling Trump’s hair “natural.” Sarcasm aside, he certainly has been embedded in entertainment of one form or another for much of his life. Clinton, on the other hand, is the first one to admit that she can’t sing a note; she’s fond of an anecdote about how badly she wanted to join choir in school until the teacher finally told her she could only join if she lip-synched. She usually uses this story to emphasize the skills and values she learned in that choir class so long ago. However this turbulent, unnerving election turns out, artists will persevere because we have to — and yes, we’re used to our corners being cut. And yes, we’ll always find a way. I’m currently in the early stages of a massive project to create, hopefully, a partnership between public and private organizations to get more arts education into my school district. It’s an enormous undertaking but necessary for one reason: there’s enough good will to make it happen, but not enough money in my district’s budget to supply the top-class arts educators that we’re capable of having and deserving of. (I may write more on this another time.) 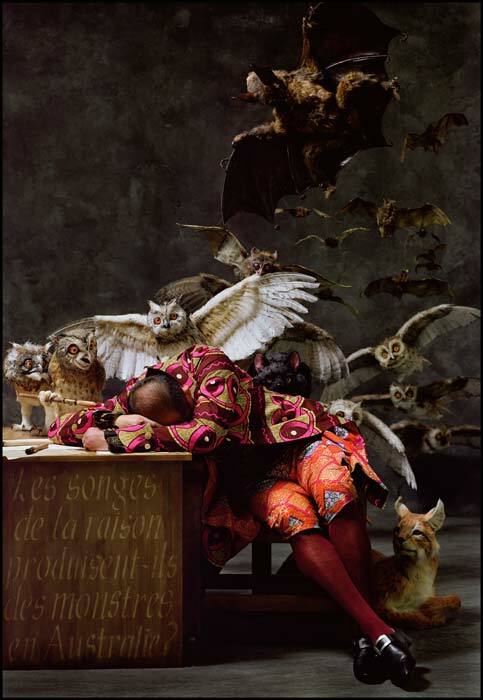 Artists, unlike those in so many other professions, always struggle in the dark and mist. This is what we do. Will President Trump advance the arts as a cause in America? No, probably not. He’ll maybe do some lip service and grudgingly allow the NEA its peanuts. Will President Clinton do better? Probably, yes, but there won’t be some cultural epiphany transforming the land. I think she has a more sincere interest than Trump in such things and a more earnest belief in the intrinsic value of the arts. But I do not think she will bring about some magical new zeitgeist of public investment. After all, President Obama gave that a try at the beginning of his term, and all it brought him was controversy and heartache. We talk about politics as the lesser of evils. It was also beautifully illustrated by Francisco Goya that the sleep of reason is what produces monsters. As with so much else about this election, let’s hope all of the monsters are put to sleep and that reason does prevail.